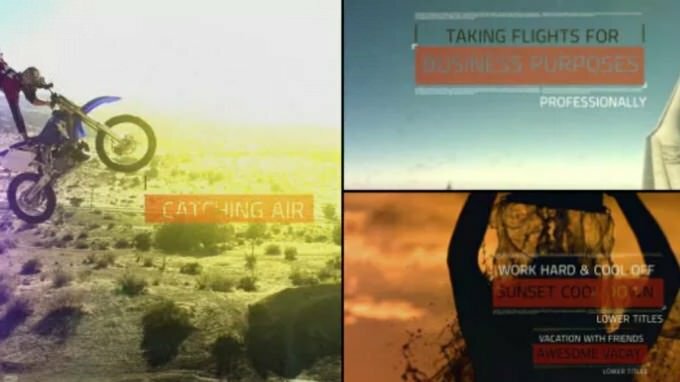 Starting from scratch is not a thing anymore since kicking it off with any of the powerful Lower Thirds Templates is that much more fun. 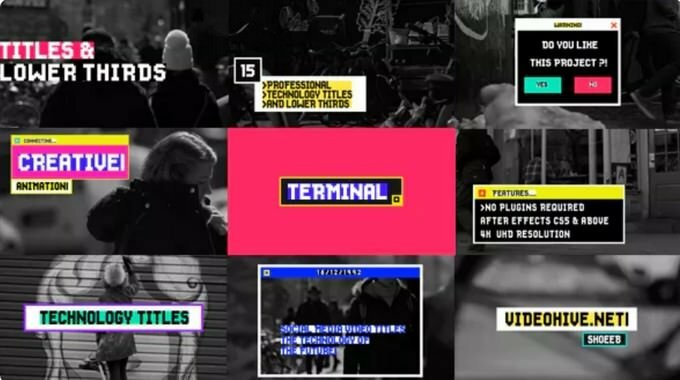 If you are working on news videos, interview videos, and even in YouTube geek videos, Instagram account we have a list of top lower thirds templates that will help you to create an outstanding video projects. 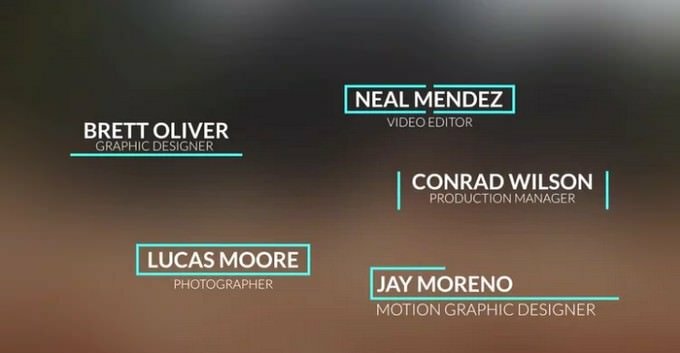 Lower thirds templates are great way to make your video project stand out from the competitor and useful to add more context to your videos . 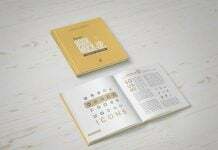 All templates we have here for you are packed with amazing features and helpful for different kinds of video project. 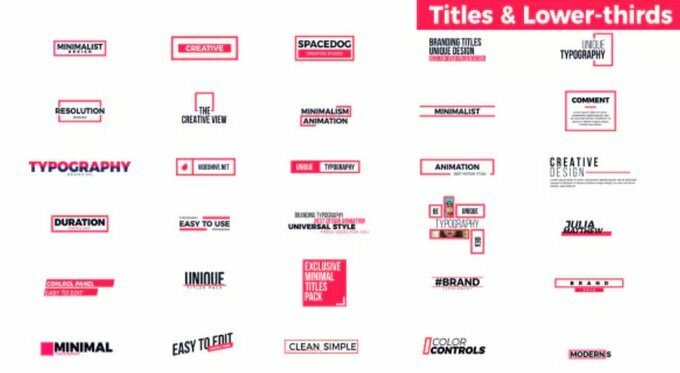 Stylish Titles, an effective animations, custom color controller, quickly and easily customizable and a ton more is what you are searching for. 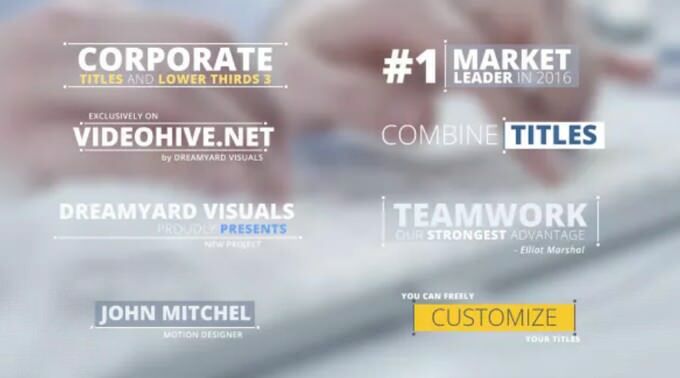 Pick the one your professional video project requires and get some outstanding result. 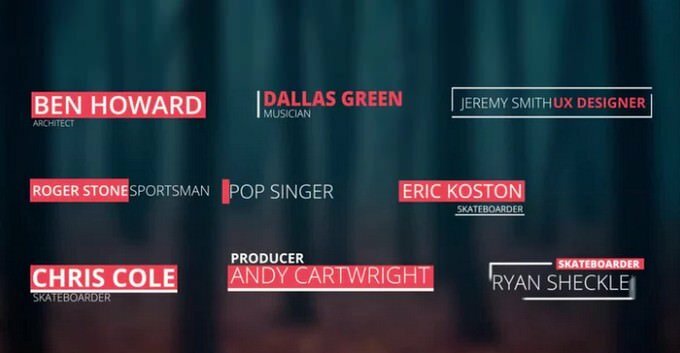 Either you are a YouTube personality, a short-film making company, a vlogger or would like to create a video for presentation, We’ve listed out a collection of creative and effective Premiere Pro and After Effects lower third templates you can download and customize as your own preference. 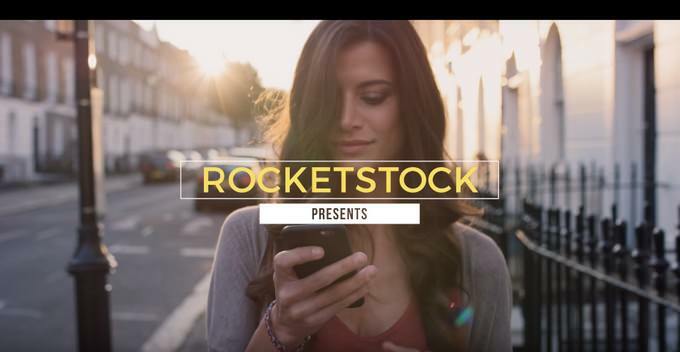 Make your video project stand out with this modern, clean, elegant and flat lower thirds template. 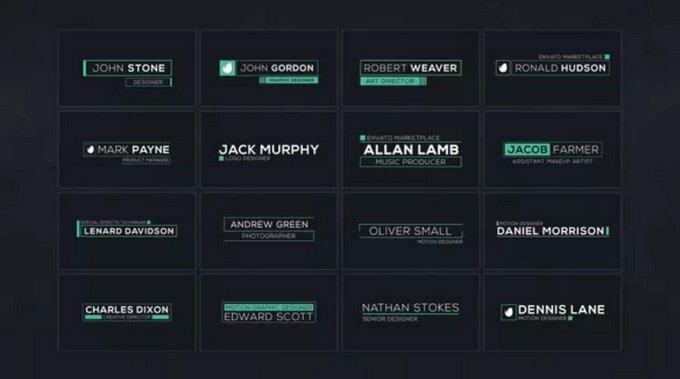 It comes with 4K resolution in 4096 x 2304 size, which you can easily edit your titles to your preference using After Effects. 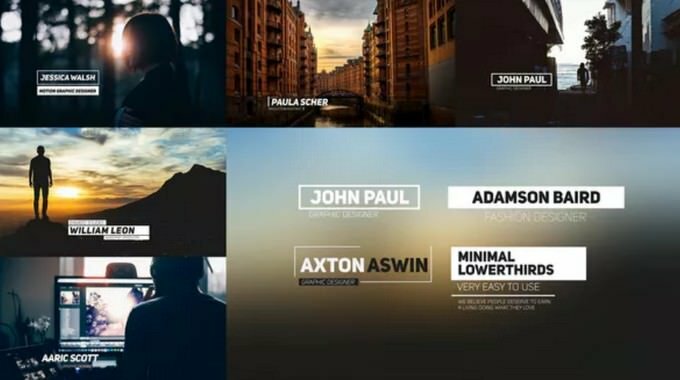 If you’re looking to create stylish titles or lowers thirds in seconds, this titles and lower Thirds template will come in handy. 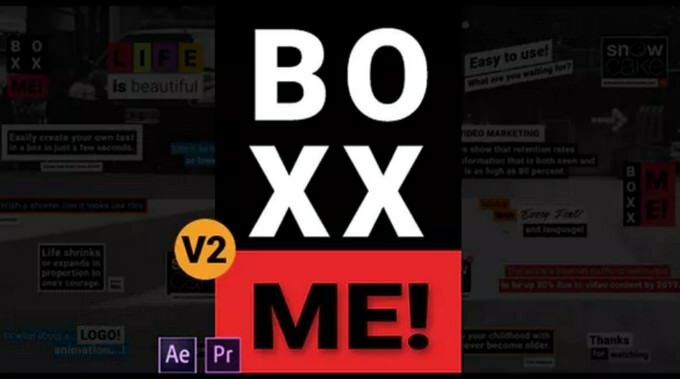 It features 20+ animated titles & lower thirds with fast rendering option, and self-resizing boxes that works with any font, making it easier for you to edit the titles however you like. 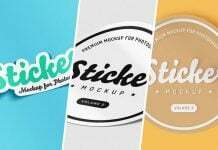 These templates are good solution for film, presentations, YouTube channel, Instagram account, Facebook or whatever you have in mind! 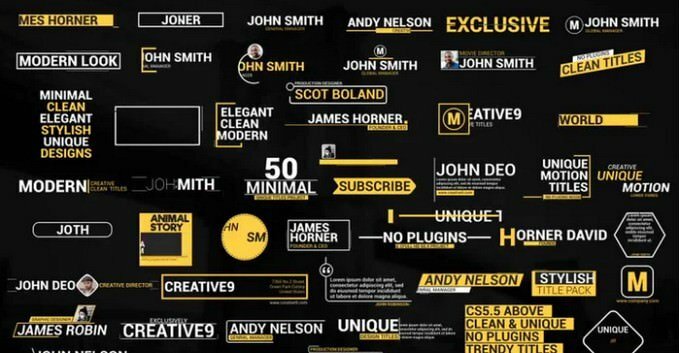 This simple, effective, minimal and smoothly animated lower thirds template is perfect for making your videos unique motion graphic stand out. 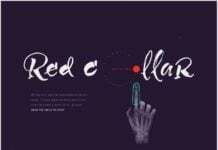 Simply open the project, change the text, adjust the color and you’re done. 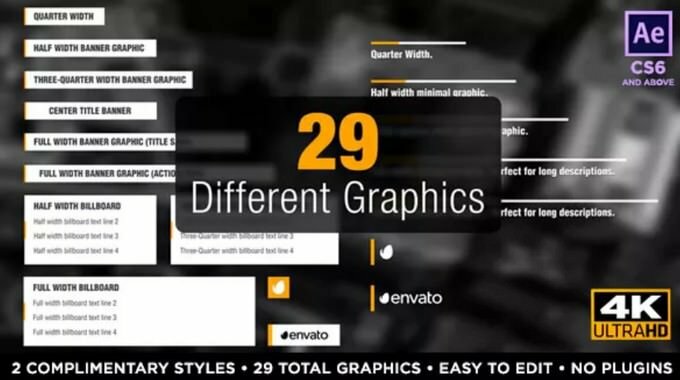 Here is another lower third template came with 30 uniquely designed and animated graphics. 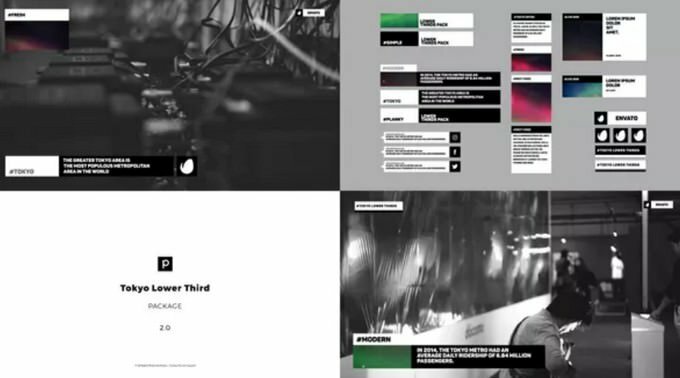 Each lower third animation lasts for 5 seconds, contains a custom color controller, and has both an animation in and out. 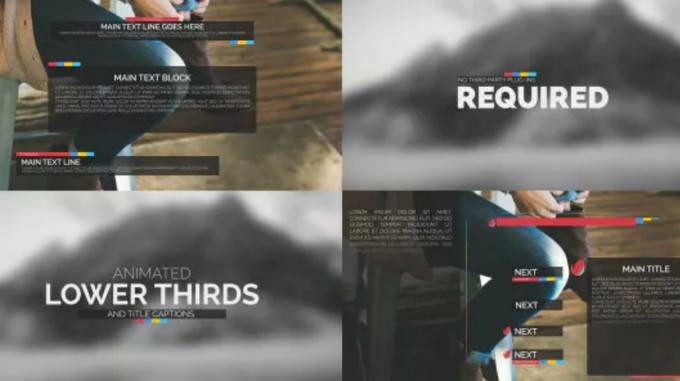 This After Effects template works with AE CS5.5 and newer, and it renders fast. 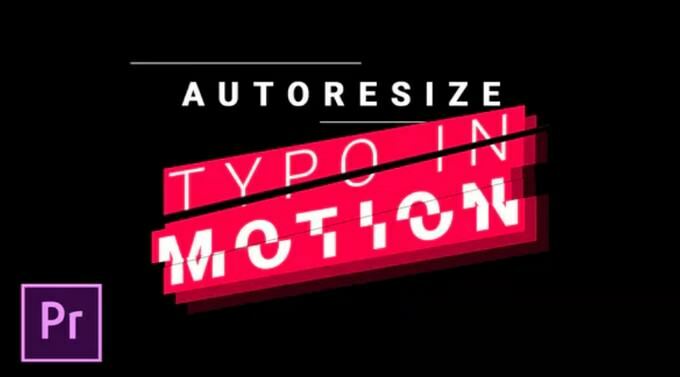 A clean, dynamic and modern titles and lower thirds template for those of you who are looking for different types of animation variations. 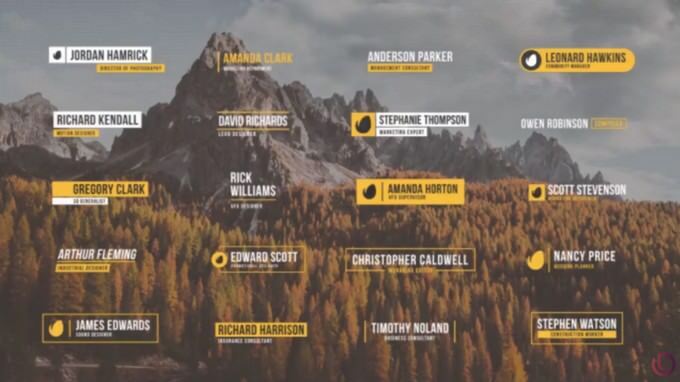 This template features 20+ Animated Titles each with 5 different animation variants. It can be easily customized with Premiere Pro. 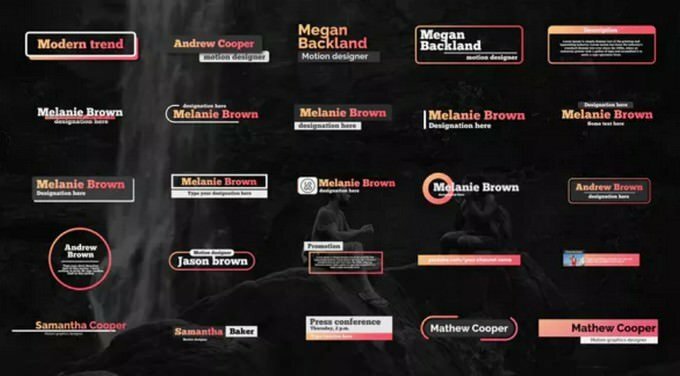 8 Unique Text Titles and Lower Thirds and with customization power you can create lots of Different Titles you need! 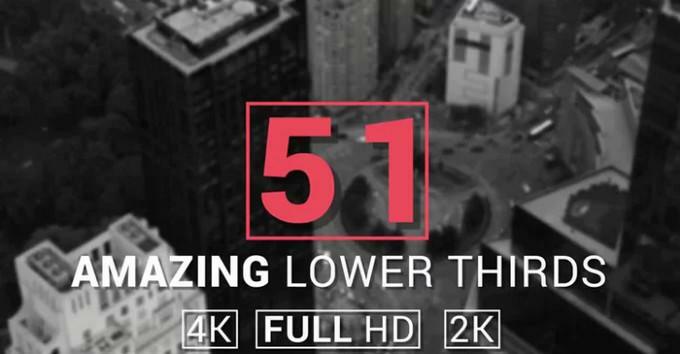 51 Amazing Lower Thirds AE template features 51 uniquely designed and animated lower thirds. 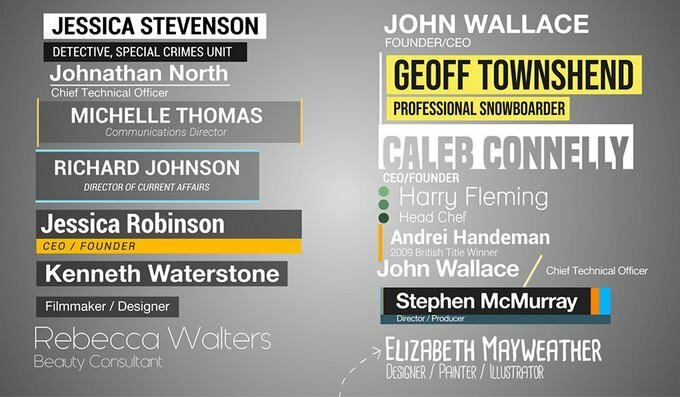 Each lower third is easy to customize. 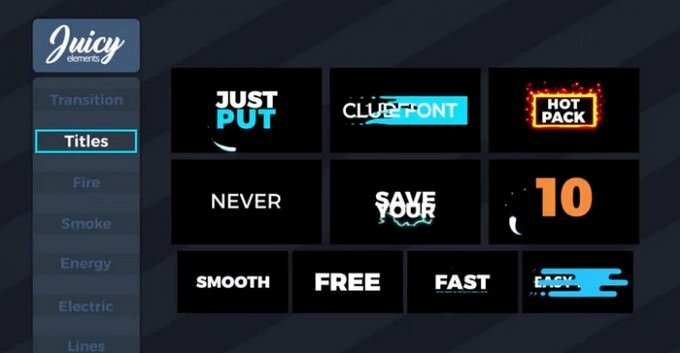 This free pack includes a range of lower thirds styles and animations, from formal and more news-like to bold and contemporary. 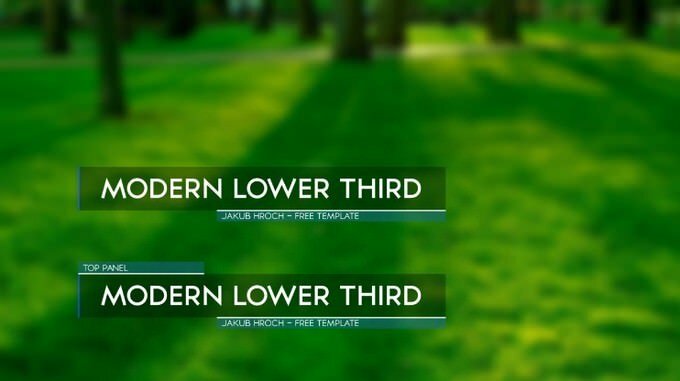 12 Turn Lower Thirds is a neat and well organized After Effects template with 12 professionally designed and dynamically animated lower thirds. 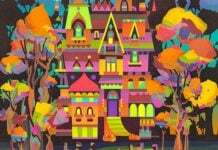 150 uniquely designed and creatively animated hand drawn elements. 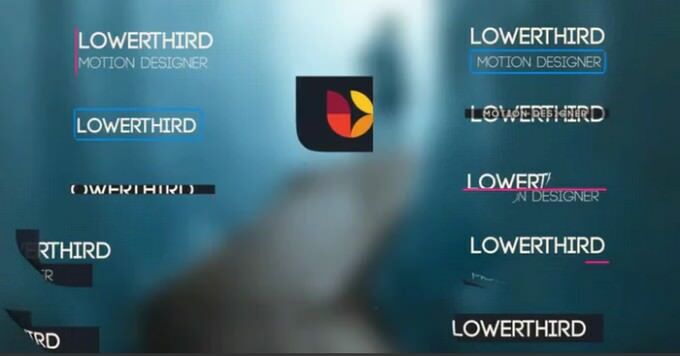 Smooth Lower Thirds is a clean and modern lower third After Effects template that features 10 uniquely designed and animated lower thirds. 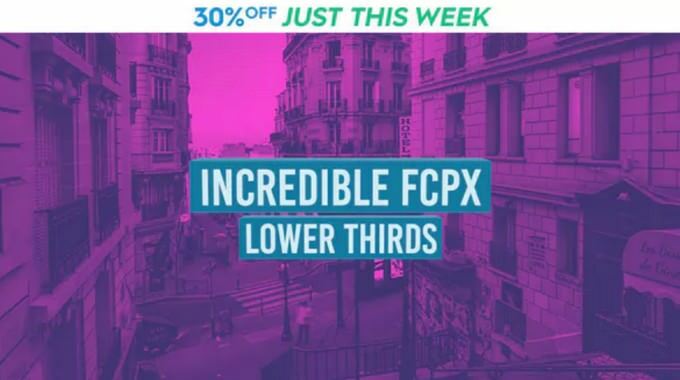 Each lower thirds comes with its own controller for quickly and easily customization.